Authors are invited to submit full and short papers written in English, according to the Springer LNCS style. Full papers must have between 10 to 15 pages and short papers must have between 4 to 6 pages. Papers must not have been previously published or submitted elsewhere.Submissions will be handled electronically using the Easy Chair system. All paper submissions will be carefully reviewed by at least two experts and returned to the author(s). The authors of accepted papers must guarantee that their paper will be presented at the conference. Accepted papers for publication will be included in the CARLA 2014 proceedings that will be published in the series CCIS of Springer: Communications in Computer and Information Science. CCIS is abstracted/indexed in: DBLP, Google Scholar, EI-Compendex, Mathematical Reviews, SCImago, Scopus. CCIS volumes are also submitted for the inclusion in ISI Proceedings. 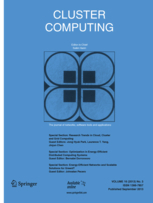 In addition, authors of accepted full papers will be invited to submit extended versions to a Special Issue of Cluster Computing (ISI Impact factor: 0.776). Cluster Computing is abtracted/indexed in: Science Citation Index Expanded (SciSearch), Journal Citation Reports/Science Edition, SCOPUS, INSPEC, Google Scholar, EBSCO, CSA, Academic OneFile, Academic Search, ACM Digital Library, Computer Science Index, CSA Environmental Sciences, Current Contents/Engineering, Computing and Technology, DBLP, EI-Compendex, Gale, io-port.net, OCLC, PASCAL, SCImago, Summon by ProQuest. All accepted short papers will be published electronically in the “Book of Ongoing Works”.